Although many people refer to winter as the wet time of year with all the precipitation, the atmosphere is really a lot dryer in the colder months, which can cause your eyes to become irritated more quickly. Our team is available to help you find the best ways to keep your eyes hydrated during the dry winter months. Even before you step outside you can prevent dryness by using a humidifier. Optometrists suggest using humidifiers in rooms with forced air heating, which can take away moisture from the environment. In addition, be careful to take added precautions once you're going outside and will be exposed to the elements. Keep your eyes protected by dressing with a hat with a brim and wearing sunglasses. The point is to keep the whipping winds away and prevent evaporation of your eye's tear film. One more practical tip for avoiding dry eyes, is applying quality eye cream. 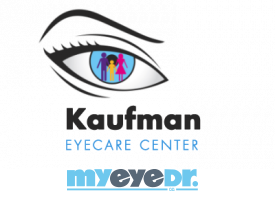 Our eye care center can suggest some good options that will help you keep the ocular area protected. Remember that if you use contacts it’s important to be extra cautious in the colder months. When possible, make use of rewetting drops often. While you may not realize it, lenses are like sponges and must remain hydrated to retain their shape. Once they loose moisture, the lenses can lose their shape and cling to your eyes, causing discomfort and blurriness. So do your eyes a favor and keep them lubricated this winter. With a little knowledge and preparation, you can avoid the hazards of the harsh elements and keep your eyes safe and cozy the whole season!